Have you ever wished you could get paid to use skills such as social media marketing, writing, and customer service from home? Maybe you’ve had concerns about the work being flexible enough for your current lifestyle. 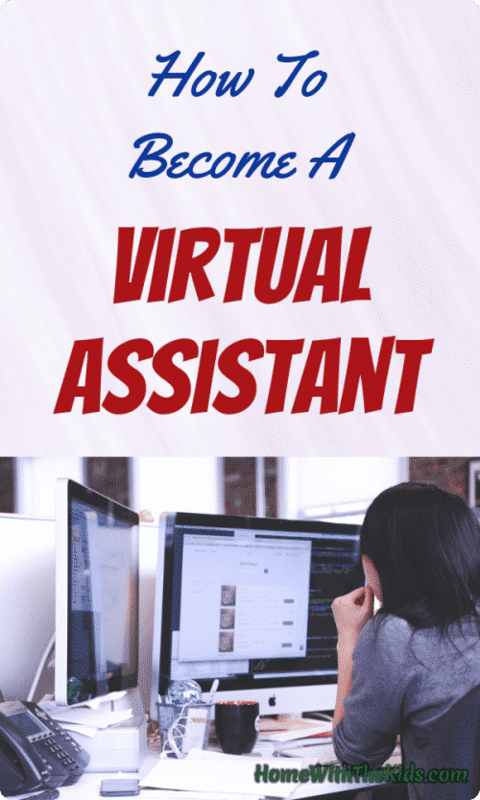 You might wonder how to become a virtual assistant. The first thing I will tell you to do is to consider taking a virtual assistant course. 30 Days or Less to Virtual Assistant Success is an excellent course to consider. The right course will give you a solid start and help you avoid the most common mistakes in your new business. But even before you buy into a course, you need to make sure you have a good idea of what you’re getting into. Let’s take a look at what it really takes to become a virtual assistant. The job title “Virtual Assistant” or VA gets tossed around a lot right now as a great option for working at home. With computers and the Internet making it easier to work for someone else from a distance, this job has great possibilities for many a stay at home mom or dad. But not everyone understands what it is. It may not help that a virtual assistant may have a wide range of duties, and not all virtual assistants offer the same services. What Are Typical Virtual Assistant Job Duties? Your job duties as a virtual assistant will vary. It depends on what you offer and what your clients need. You can simply state that a virtual assistant works remotely from home for other professionals. But that doesn’t really explain what a virtual assistant does. Your virtual assistant work may include answering emails and other routine correspondence such as email and phone calls, managing social media accounts, creating content for blogs, graphic design, and much more. The wide range of possibilities is why many virtual assistants specialize. You probably can’t do it all. But if you do a few things better than most, you can find someone willing to pay you to handle that job for them. Virtual assistants are popular with other people working from home, but they’re not the only ones who hire them. Any small business that needs help with something you can do from your home may consider hiring a virtual assistant. This way they don’t have to hire an employee or provide them with workspace or benefits. Can Anyone Be A Virtual Assistant? Many people have the basic skills to become a virtual assistant. Not everyone, but many. Some think of a virtual assistant as being something like a personal assistant. The skills can be similar. However, many virtual assistants specialize in just a few key skills, so that they’re more effective than someone who does more general work. If you have experience as a personal assistant, that can be a huge plus when you decide to become a virtual assistant. You have much more of an idea as to what clients will ask of you. But it’s not an absolute need to have such experience. Many people start a virtual assistant business with no experience at all as an assistant. What you absolutely must have are some skills that are good enough to catch a client’s attention, and the willingness to learn more over time. If you have demonstrated experience in these skills, you have something to show potential clients. If you want to help people in the legal field, for example, experience in the legal or paralegal field will be a huge help. Similarly, if you want to help people who run online businesses, you will to need to understand the internet very well and probably need HTML and CSS skills. What Training Do You Need To Work As A Virtual Assistant? A virtual assistant should be well trained in whichever skills they intend to offer as a virtual assistant. If one of your offered skills is social media, you need to know how to manage various types of social media accounts, make them grow, and get a good response rate from posts. Similarly, if you offer bookkeeping skills, you should know how to use common bookkeeping software, such as Quickbooks. If you offer email marketing services, you should be able to use common email management services and be able to figure the ROI on a mailing. But there’s one more kind of training you should consider to work as a virtual assistant. I mentioned it near the start of this post. A course such as 30 Days or Less to Virtual Assistant Success will be a huge help in getting your VA business off to a successful start. What Equipment Do You Need To Work As A Virtual Assistant? Odds are that you already own much of the equipment you need to do your work as a virtual assistant. You probably wouldn’t even consider becoming a virtual assistant if you didn’t already have access to a computer and the internet. Those two things are the minimum you need. You will probably want more things. When you have any kind of a home business that people are likely to want to call, you will probably want a dedicated phone number for that business. You don’t want to answer your home phone like a business or vice versa. These days, you don’t have to get a whole new phone line put in to get a new phone number. You also don’t have to pay a lot to get a cell phone to use for your business, although you can. But if you want to go the free route, get a VOIP number from a service such as Google Voice. I like Google Voice, even though I use it very little. You can set it up to forward calls to another number, so that you receive them like any other call, or have calls go to voicemail. You can make calls through Google Voice, although it’s not as simple as dialing your phone. It gives you the option of connecting through a phone number you’ve linked to your account, such as your home or cell phone, or it can place the call through Google Hangouts. Google Voice has its faults, and many of them, but it allows you to share a phone number with clients that isn’t your personal number. You can even put it on do not disturb so that you don’t get calls outside of business hours – they go straight to voicemail. If you’d rather just get a cell phone for your business, I suggest taking a look at Ting if you don’t want to spend a bunch of money on another phone line. This is the service I use, and it saves me a lot of money. We have four cell phones on it right now, and the combined monthly bill is usually less than $40. We aren’t heavy users, obviously, but it’s still an amazing deal. If you want clients to find you, you must have an online presence. You can seek out clients on your own, but you’ll still need a website to show them what you’re capable of. Starting a website is relatively easy and very affordable. You need good hosting. Make sure your hosting makes it easy to use SSL connections – which is what makes a secure connection to your website – as it’s pretty much mandatory these days. I’m currently using A2 Hosting and have been generally happy with them. I’ve also used HostGator but left them when I realized that switching to SSL with them wasn’t a simple process on the plan I had. I was happy with them otherwise, and some of their plans make SSL easy to get. I strongly recommend using WordPress to manage your content. There’s a learning curve, but most people find it’s not that bad, and many clients will use it as well. If you’re hired to post blog updates and such, you’ll need this skill anyhow. Use your blog as an online portfolio whenever possible. The exact things you should share on it will depend on your niche, but here are some ideas. That last one can be important. If you want to keep bringing in new clients, you have to get your name out there as a great resource. People who read and admire what you’ve written are more likely to trust your abilities. It also helps keep your blog updated. It looks good to search engines if new information is added to your site regularly, and it gives you something to share on social media so you can build a solid following. If social media marketing is one of the skills you want to offer, you must have your own social media accounts with followers and interactions that show you can do it. The combination of a blog and active social media will demonstrate these skills. Having your own website with a domain name makes it easy to have a professional looking email address associated with it. This will look much more professional than your typical Gmail or other free email address. The software you need will depend on what you’re offering your clients. If you’re doing graphic design, for example, you will probably want to have Photoshop and/or Illustrator. If you will be coding websites or software, there are a number of options listed on this site for you to consider. Bookkeeping software is good both for the needs of your own business and for any clients you might do bookkeeping work for. Quickbooks is good overall, and many people like Freshbooks for invoicing. While much of your marketing will probably be done online, you still need business cards. There will be times when you meet someone who would make a great client. While you can simply exchange contact information on your phones, that doesn’t put a physical reminder into the potential client’s hand. If you want to offer graphic design services, this is an opportunity to show those off in a small space. Make it professional and eye catching. Don’t go too cheap on the printing. A poorly printed business card won’t reflect well on your business. What Should You Do As A Virtual Assistant? There are a lot of different services you can offer as a virtual assistant. You don’t have to do it all. Many virtual assistants choose to offer a variety of services, however, so that clients don’t have to work with multiple assistants. The more virtual assistants a client tries, after all, the more chances that they’ll go with someone else. Stick with things you know you can handle well for your clients. If you really cannot make great looking images, you shouldn’t be offering graphic design services. If your grammar is terrible, you shouldn’t work as a writer. You do not have to be equally strong in all of your skills, of course. We all have strengths and weaknesses. Creating a niche as a virtual assistant is important. Think about it from your client’s point of view. A real estate agent who wants a virtual assistant is far more likely to hire one who has worked with other real estate agents. That VA will understand their needs much better than one who has never worked for a real estate agent before. Don’t think that narrowing down your niche means you are limiting your horizons. You aren’t. You’re making your business more appealing to potential clients. If you choose your niche well, you’re making your success more likely. If you’ve worked in a particular industry in the past, think about virtual assistant services you could offer in that area. Your previous experience can mean a tremendous advantage. Another idea is to take a look at what other virtual assistants are doing. How can you stand out from the crowd, given your skills and experience? If you’ve been working as a virtual assistant, and want to try focusing your efforts more, take a look at what you’ve been doing. What do people ask you for the most? What do you most enjoy doing? You can even sometimes include outside interests if you find a way to relate them to being a virtual assistant. Don’t forget to consider what just isn’t working for you. Sometimes it will mean you need to charge more for a particular activity, but other times it may be better for you to drop it from your list of virtual assistant services. Finally, think about who your ideal client is? What industry? What services does your ideal client want? Your niche should always be something you enjoy. If you pick something you really aren’t happy with, what do you think the odds are that you will stick with it? How Do Virtual Assistants Set Their Rates? How much you earn from your virtual assistant business will make a big difference in your life. What the best rate to charge your clients will vary, however, both as you grow your VA business and by how difficult the client is. Don’t underestimate your overhead just because you’re working at home. Here are some of the factors you need to consider. A lot of people new to home business do not value this highly enough. If you’ve done office work outside the home, what did you earn? Average it out per hour. Then remember that the job quite likely came with benefits, such as medical, dental, paid time off and so forth. The only way you’re getting those with a home business is if either your spouse’s job offers them or you provide them yourself. Then there’s all the unbillable time to consider. There’s the work you do to find clients. Sick days. Vacations. Holidays. Your hourly rate needs to make your income viable even with all those things considered. It all costs money, and you may have to spend some to get all the equipment you should have. You may not have to get a fax machine, eFax and similar services may do the job quite well enough, but other things you will need to buy. Reference materials for your specialties. Appropriate software. A business phone line. You will probably at some point need to upgrade equipment or buy things you haven’t had before for your virtual assistant business. If you don’t have a good home office set up yet, you’ll want to improve it over time. You may or may not know much about the Internet, but there is one simple rule: Build it and they will come just ain’t so. You will have to market yourself and your business. You’ll want business cards. Flyers, possibly, or brochures. And most definitely a website and you’ll have to market that too, quite possibly using pay per click advertising. It costs money to do these things. Not to mention the time it takes to really get things going. Keep remembering that your time is valuable. Yes, you’re going to have to think about taxes. If you’re losing money it can be a writeoff, but if you’re earning you have a lot to think about. Such as paying quarterly estimated taxes. But think positive. If you’re having to pay quarterly, it means you’re doing something right. But keep in mind that when you were employed by someone else, they paid a part of it. Business insurance may be a good idea. It’s protection in case of serious problems. But you should also be thinking about how your business may impact your needs for your homeowners or renters insurance, car insurance and so forth. You may be able to write off a part of these on your taxes, but that also means you can think of them as one of your business expenses. You’ll want to talk to a tax professional about how these are impacted on your taxes. You may qualify for a home office deduction. Similarly, you can consider some of your utilities to be business-related expenses. Your home office uses electricity, after all. And that phone line? What about the Internet connection? Keep asking your tax professional questions. Do you do any driving in the course of your virtual assistant work? Meet with clients? Even travel long distances on rare occasions? Then you may have some costs of business to calculate in there. Your target market matters when setting your rates. You can charge more for some areas than others. The more challenging the skill required, the more a client should be willing to pay to have the work done. If it’s something that just about anyone can handle without difficulty, clients will expect a lower rate. While the necessary rates can vary quite a bit by where you live, in the United States you will probably want to charge at least $30 an hour. You can go higher, especially on more challenging tasks. You may want to consider charging by the project for some things. This can be better than charging an hourly rate, but it can also be far worse. Set up your project rates with caution, and make sure your contracts carefully outline what’s included. You don’t want a picky client taking up twice the time you had allotted to the project if you can’t charge them for the extra time. Charging a project rate limits how much information you have to give clients on how long the project took you. They don’t always understand how much work something takes. Don’t be afraid to raise your rates as necessary. Sometimes a higher rate helps weed out the bargain hunters, who can be more difficult clients than the ones willing to pay a fair rate to get the job done. Even with set rates, be willing to talk to clients who want something special set up. If it sounds good, go for it. But don’t let the bargain hunters get you down. Bargain hunters are notoriously difficult clients and can eat up more of your time while paying you less. If someone wants you to drop your rates too far, they probably are not worth your time. There’s no point in joining a race to the bottom in the hopes of getting more clients. After all, your time is valuable. Clients are the obvious lifeblood of a virtual assistant home business. You quite simply cannot get anywhere without them. But finding them can be a challenge, especially at first. There are a lot of small businesses in most areas that could use the services of a virtual assistant. You can send out a mailing to a list of small businesses in your area and see about the responses you get. But be warned, mailings add up fast. And you need to target them to the kind of businesses you want to work for. There’s no point in mailing to lawyers if you specialize in helping realtors. But mailings aren’t the only way to contact local small businesses. You can be visible in your local business community. Join the Chamber of Commerce in your area. The SBA. Any other business groups in your area, especially if they are targeted towards the kinds of businesses you’re looking to work for. Similarly, you should be on the lookout for small business events in your area. Charity events can also be good. Have plenty of business cards and talk your services up… politely, of course. You don’t want to look as though that’s the only reason you’re out there. There are advantages to working with local clients. The big one may be that you aren’t competing directly with every other virtual assistant online. Meeting in person can be nice for some projects as well. Sometimes other, more experienced virtual assistants will be looking to subcontract to someone else. While this generally won’t give you an “in” with their client, it’s work! Use it as a chance to really get things started. Alternatively, if your skill sets complement each other, have services that you work together on. Maybe one does well on website design, the other on logo design or marketing. It can be very helpful to be able to offer more complete services. This is not too hard to do. Network within virtual assistant communities. It’s one of the easiest ways to get to know some of your fellow virtual assistants. You’ll probably have to pay a membership fee, but since it’s a cost of your business it should be tax deductible. You can also find work on freelance websites. Places such as Upwork and Guru are popular choices. Don’t underprice yourself even on these sites by too much. Getting the experience matters, but you don’t want to be overwhelmed by low paying work when something better comes along. When you’re just getting started as a virtual assistant, you can offer small tasks on Fiverr. If you’re good, you can build up to larger tasks on that site. Early on, however, you will want to offer tasks you can do for a small amount of pay. This can help build up your portfolio to get better jobs later. There are quite a few virtual assistant groups on Facebook. Take a look at them and join the ones that look good to you. These can help you with job leads. LinkedIn is another good choice, especially as it has a more professional target audience than Facebook. Seek out appropriate groups on LinkedIn and you may find clients there. This can be a great way to test out being a virtual assistant if you aren’t certain about what’s involved. You can get your feet wet before having to learn how to market your own business. Pay can start as low as $10 an hour, but some companies will pay $20+ per hour. I know all this is a lot of information. But if you want to start your own virtual assistant business, you will need more. This is why is still suggest that you consider the 30 Days or Less to Virtual Assistant Success course to help you learn how to become a virtual assistant. There’s a lot more to learn, and the author, Gina Horkey, has had a lot of success as a virtual assistant. She knows far more than I do about this.